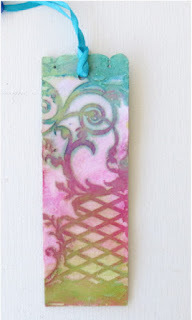 Hello my dear crafty friends and welcome to my June inspirational post made with Rebecca Baer delicious collage style stencils! This time I made a double sided bookmark and as you can see I used one single stencil for both sides. 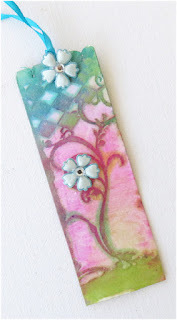 First I used two bookmark blanks arranged side by side. 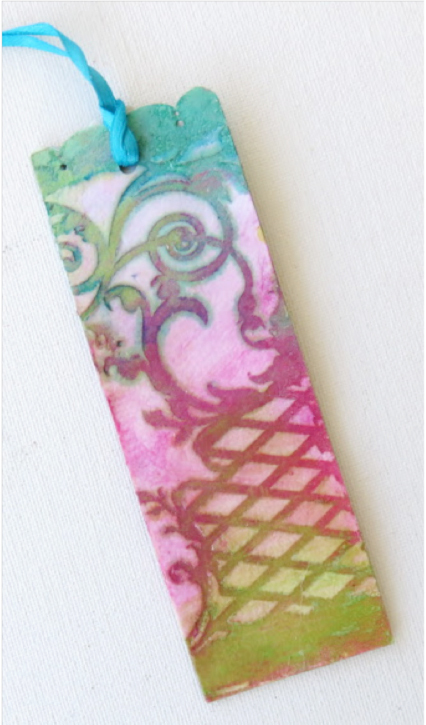 Then I applied Modeling paste over both with one single stencil Enchanted Vine | small and let both parts dry. The next part was adding DecoArt Fluid acrylic paints with sponge over the dry paste and as your see I got fantastic pastel colors with very visible stencil image over both sides. Then I just flapped them one over another and glued to get this double sided effect. 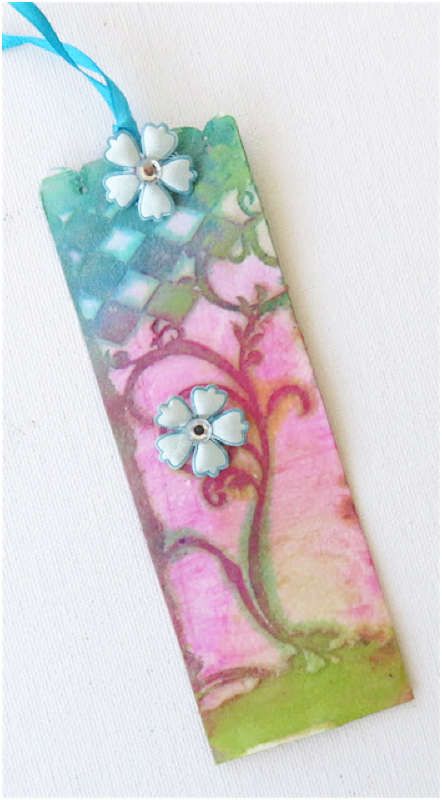 The top part was punched and I added a ribbon over the bookmark. And this is the second side with a fabric flower added on the top and over the front. Same colors with a bit of different design and it's still the very same Rebecca Baer stencil used here. I think that this project can be done as a kind of " mass production" using a lot of blanks and different Rebecca Baer's stencils with same paint or different colors.